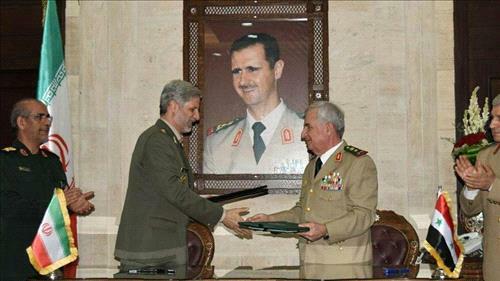 AMMONNEWS - The defense ministers of Iran and Syria have signed an agreement on military cooperation and reconstruction in the war-torn country, Iranian media reported on Monday. "Syria is passing through the crisis stage and entering the reconstruction phase," said Iran's Defence Minister Amir Hatami, according to the Tasnim news agency. Hatami is on the second day of a two-day visit to Damascus, during which he held "detailed negotiations" with his counterpart Ali Abdullah Ayoub and Syrian President Bashar al-Assad, according to Tasnim. The "defence and technical agreement" provides for the continued "presence and participation" of Iran in Syria, Hatami added.